When I decided to participate in the Write 31 Days challenge, I knew I wanted to revamp my blog. Again. I did the same thing last year. Last year I had all these vague ideas of grandeur for our family. Things we would accomplish, places we would go. . . someday. I didn’t have a timeline. I was just trusting that the things I wanted would come to pass, not because I felt sure of God’s plan, but because it’s what I wanted. Now, one year later, I’m less sure about all those ideas and, frankly, less concerned. Over the last year, I’ve had some pretty great “Come to Jesus” moments. Over and over again, the undeniable love and grace of God has been revealed to me and it has made me feel. . . well, a little overwhelmed. Overwhelmed in a good way and with all kinds of things. When I came up with the blog title These Ordinary Graces, it was with the hope of slowing down and catching those everyday moments when God opens my eyes and overwhelms my heart. Now, two weeks after starting the new blog, I realize those moments come more than I ever imagined. I realize how much beauty I’ve overlooked in my life because I’ve been focusing on my frustrations or even on what’s next. My new outlook on life started when my Bible study group did Ann Voskamp’s One Thousand Gifts: A Dare to Live Fully Right Where You Are. If you haven’t read it, I highly recommend it. Ann writes in a beautiful, poetic style and once you get used to it, it’s hard to put the book down. The basic premise is counting your gifts. 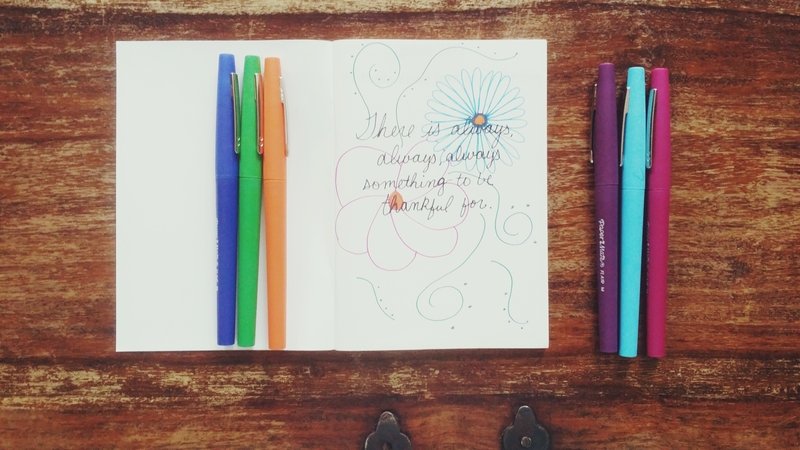 Keep a notebook and make a list of all the gifts you have in your life and after awhile you’ll start seeing gifts in everything. I decided to jump in whole-heartedly and bought a tiny little journal. Each time I stop and write I give silent thanks to the God who graces me with these blessings. Little bits of His grace shimmering here and there. My life has been changed. I see things differently now. Thinking about life in terms of finding ordinary graces really forces me to find moments of beauty when I’d otherwise wallow in self-pity, anger, or frustration. I chose to call these gifts graces because they always serve to remind me of my good and gracious God. Sometimes it’s obvious things, like the beauty of a flower or the sweet taste of ice cream, that makes me think Wow. Even in the small things, God is ever faithful. And sometimes they’re less obvious and by searching for the grace, I find some dark clutter I didn’t even know was taking up space in my heart. Life can be hard. Heartbreak and tragedy and sorrow are non-negotiable, but by grasping and clinging to these small moments of beauty and grace, I think we can grow in faith and trust in God to walk us through. 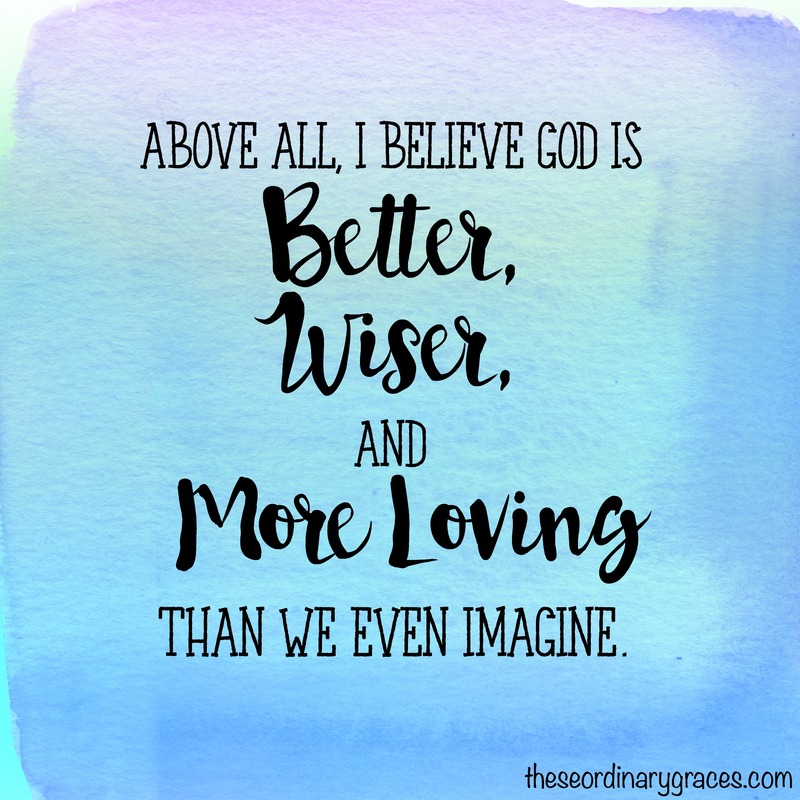 Above all, I believe God is better, wiser, and more loving than we even imagine. These ordinary, routine, beautiful moments are His sweet gifts to us as we wait for the best Gift to return. its amazing the blessings (graces) we miss when we don’t have open eyes! I love hearing the sincerity of your heart. I know God will do some amazing things in and through you as you follow his leading this month. 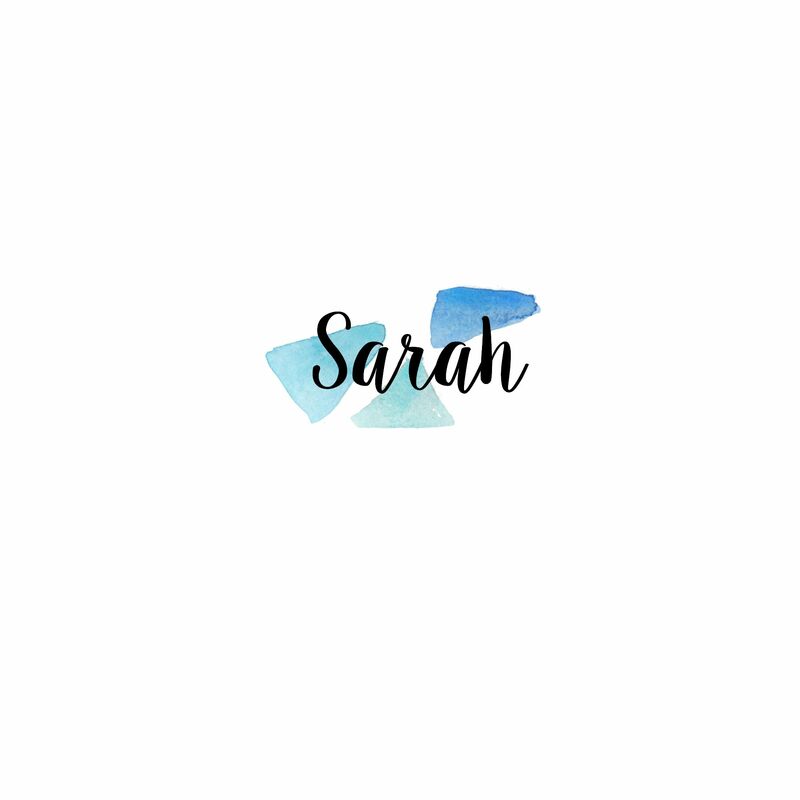 I love this Sarah! A couple of summers ago I did a ‘series’ (only not technically!) called Hunting for Beauty, Searching for Grace… and coincidentally it was after I had read #1000gifts as well! Such a life changing book, right? This sounds like such a great series! I believe you are right! Beautiful post and lovely revamp of the site! I loved One Thousand Gifts and I love the truth in this post. I have that book sitting on my shelf and have yet to read it! I definitely need to pull it out. Love those “Come to Jesus” moments and I love the reminder to make a list of our daily gifts! This is perfect and God is perfect because no matter how far apart we are He manages to keep us in sync. I’m so glad we are doing this together! Write on, sister!